Cynthia Lord is the Newbery Honor author of Rules and other middle-grade novels. Her first picture book, Hot Rod Hamster, inspired a bestselling series about a speed-loving hamster that also includes four early readers. Her chapter-book series, Shelter Pet Squad, appeared on the American Booksellers Association’s ABC Best Books for Children list. 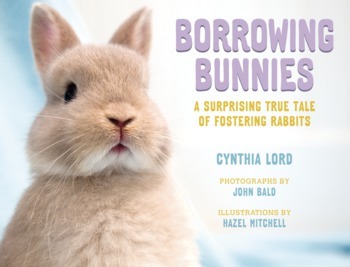 Cindy lives in Maine with her husband, John Bald, their children, and a collection of beloved animals, including three rabbits (so far!). John Bald is best known for his stunning photographs of landscapes and seascapes throughout New England, particularly along Maine’s rocky coastline. 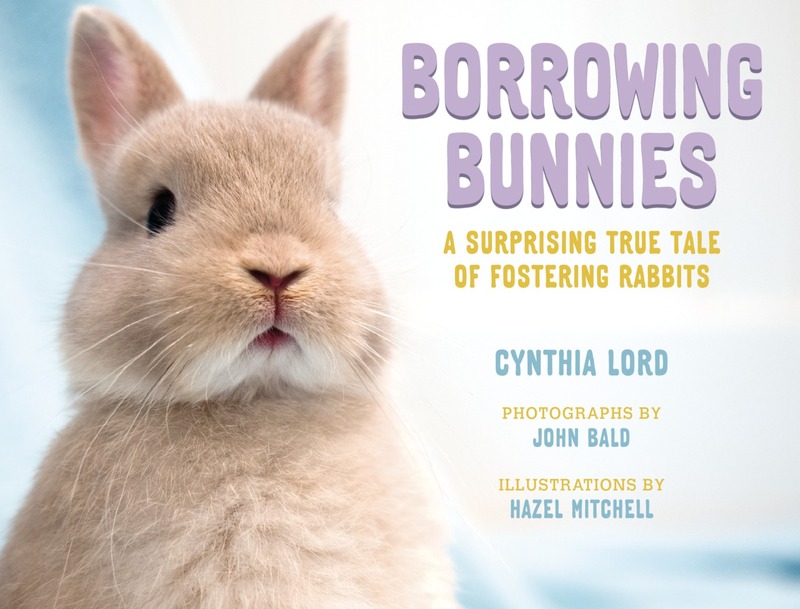 When he and Cindy fostered the family of rabbits featured in this book, he couldn’t resist documenting each precious moment—happy, sad, or silly—with his camera. Hazel Mitchell is the author and illustrator of Toby, as well as the illustrator of several other picture books. When Fezzi and Dodger were old enough to have visitors, Cindy invited Hazel and other artists over to sketch and handle them. Hazel used those early drawings as inspiration for the illustrations in Borrowing Bunnies. She is originally from Yorkshire, England, and currently resides in Maine.